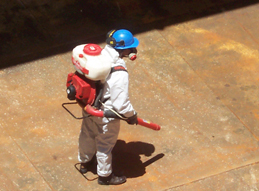 We are part of the few fumigation companies to have certified under ISO 9001:2015, ISO 14001:2015 and OHSAS 18001:2007 standards as part of our commitment to service quality. We are also Gafta, NPMA and FOSFA members. 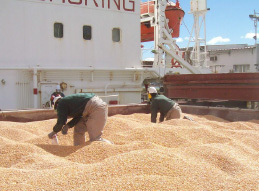 Safe and efficient fumigation of bulk commodities in ship holds, silos, warehouses, etc. by means of phosphine gas. Salmonella control and mould inhibition measures. 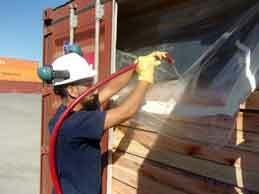 Fumigant application to combat harmful microorganisms. 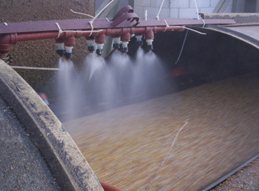 Reconditioning prior to loading and posterior fumigation with methyl bromide or phosphine gas, depending on our customers' needs. Export good in shipping containers are treated with carbon dioxide (CO2). 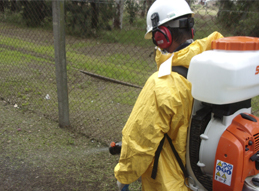 Urban and industrial pest control measures to reduce harm to food quality or human and animal health. 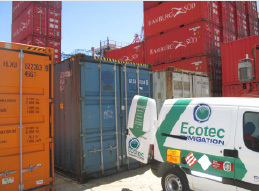 Safe and controlled sanitation of empty holds, living quarters and transport. Control measures against Zika virus vectors. 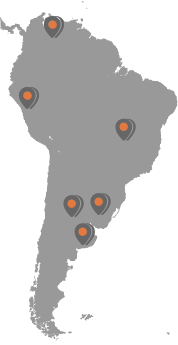 Over twenty years of uninterrupted growth have allowed us to spread to key export locations in the continent, where we have offices and logistic centers. We have an extensive network of offices and logistic centers that help provide an efficient and effective service along with a vast vehicle flet, cutting edge equipment and permanent staff.